By judging the condition of the “inner world” of the car one can easily guess the attitude of the owner towards his vehicle. A clean compartment, tidy upholstery, shining dashboard suggest that the car owner is responsible and provides complex care for his car which includes even such minor aspects as polishing of a steering wheel and replacement of driving belts. 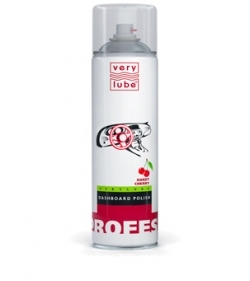 VERYLUBE trade mark offers a range of special products designed for car compartment care. Compartment cleaner is designed for cleaning of upholstery fabric. 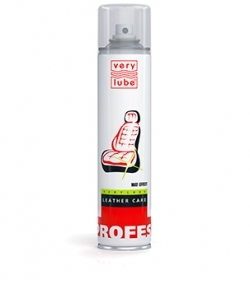 Leather care contains castor oil and allows protecting and restoring leather seats and parts. 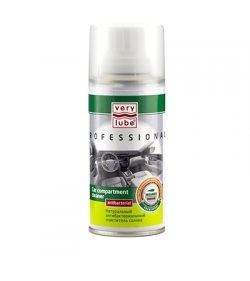 VERYLUBE Dashboard polish helps remove contaminations from the dashboard, restores its original shine and provides antistatic properties. The treated surface gets dusty less, and if its shine has faded, all you have to do is just to wipe it with a cloth and you can enjoy the perfect cleanness again. Besides, these products are aromatized and freshens the air in the compartment. 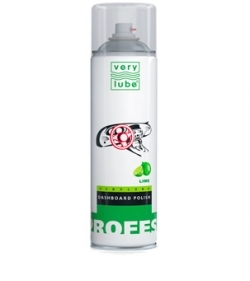 Within the VERYLUBE product range there is a unique weapon against musty odor of the compartment. In the majority of cases its reason is fungi and bacteria existing in the contaminated ventilation system. They do not only cause this nasty smell, but also lead to respiratory diseases. That is why VERYLUBE specialists recommend applying special compounds at least once a year, which will keep conditioner air ducts and evaporators clean. 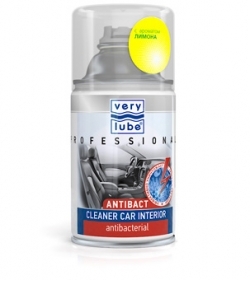 Cleaner for automobile ventilation system and Complex cleaner for automobile air conditioners not only clean the air duct system, but also disinfect it by exterminating fungi and bacteria.